Thanks to the internet, the amount of available information for sleep apnea has increased dramatically. More people know about it and the medical community has taken great measures to raise awareness about the condition. Approximately 18 million Americans suffer from sleep apnea and it’s important for people to learn the facts so we can deal with it effectively. However, there are still many people who are misinformed about the risks for sleep apnea. For this reason, we’ve compiled a few of the common myths and the real facts behind them. Myth 1: Only people who snore have sleep apnea. Fact: While snoring is commonly associated with sleep apnea, many people who don’t snore also have the condition. Snoring is only one of the many symptoms. In fact, if you’re a former snorer but have currently stopped, it could mean that the sleep apnea has become worse. Why? Because it’s possible your airway may have become completely blocked while you sleep, impeding your ability to snore. When diagnosing sleep apnea, all possible symptoms should be taken to consideration. Because sleep apnea can cause excessive daytime tiredness, this can make it difficult to focus. The result? Higher chances of work-related accidents, injuries and even deaths. During a train accident in Utah in 2008, 9 passengers on board were killed. The cause of the accident was later discovered to be due the conductor’s decreased alertness caused by sleep apnea. If you think you may have sleep apnea, please don’t wait and get checked right away. Myth 3: Only “old people” get sleep apnea. Fact: This is one of the biggest misconceptions about sleep apnea. The fact is anyone can get sleep apnea regardless of their age. Whether you’re only 5 years old or over 70, you can get it. While it can be adorable seeing a young child snore, this can also indicate underlying problems, such as childhood obstructive sleep apnea. This condition affects many children and can lead to cognitive and behavioral problems. It’s true that sleeping disorders are more common in older individuals, but it doesn’t mean that children aren’t immune to them. Fact: This couldn’t be further from the truth. Invasive surgery may have been the only treatment option in the early days, but that’s not the case anymore. Nowadays, surgery is only considered for the most serious cases. Thanks to advancements in technology, there are a number of effective, non-surgical ways to treat sleep apnea, such as CPAP (continuous positive airway pressure) and oral appliance therapy. CPAP involves using a machine to make breathing easier while you sleep. The machine keeps the throat’s airway open by increasing the air pressure in it. Oral appliance therapy has the same objective but the patient is fitted with a small oral device instead while they sleep. The device helps to prevent the throat muscles from collapsing and blocking the airway. Both of these treatments have been shown to be effective for treating sleep apnea. Hopefully some of your myths about sleep apnea have been debunked. The next time someone tell you some nonsense about sleep apnea, you can let them know the facts. And if you have sleep apnea or know someone who does, we offer customized solutions for treating it. 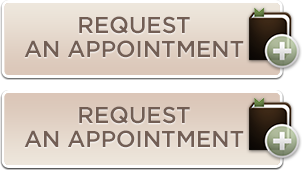 Contact us at Earlsbridge Dental to schedule an appointment today.